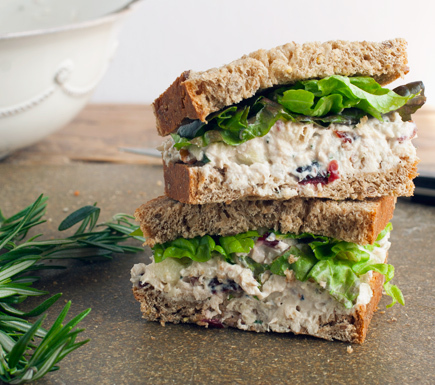 Lately I have been whipping up my own tuna salad recipe for Forrest to take with him to work. I have to say it is really yummy! Of course I have no pictures of the actual salad! Now, this is a guestimate list--I usually put the tuna in a bowl, squeeze in the mayo, and mix. I keep adding mayo until it is incorporated well with the tuna. Then I add the mustard and the rest of the ingredients. Once you mix it all up, you may want a little more mustard and/or mayo depending on how creamy you like your salad. The magic of this salad is the Wickles. OMG--Julie and Lance turned me on to these spicy/sweet pickles and now Forrest and I have to ration them when eating them straight out of the jar! 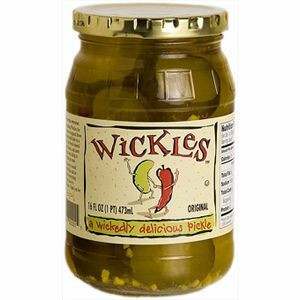 Regular relish would be find in the tuna, but why would you use that, now that you know about Wickles? You will thank me, I promise. On Wednesday I made this recipe of Moroccan Braised Chicken. I found it on Pinterest of course, and was DYING to try it, especially after I bought myself a dutch oven over the weekend. It smelled AMAZING while cooking and Forrest and I were chopping at the bit to get our forks into it, and then, we were SO disappointed!! The chicken was just so blah!! Despite all of the good smells coming out of the pot, the chicken had zero flavor. I made about 10 chicken thighs thinking we'd much off of the recipe for lunches and dinners over the weekend but after discovering the tastelessness, I knew it would get wasted and I HATE that. I asked Forrest what in the world was I going to do with tasteless chicken and he responded "chicken salad". Hmm! Now that was a idea! I found THIS recipe on Pinterest and hunkered down for another try. I modified it a little so the recipe below is what I changed the original one to be. Truth be told, the ingredients above are all guesses too. After I shredded up the chicken I just added mayo until creamy and then poured the cranberries and pecans from the bag until the ratio looked ok. Then I sprinkled on the rosemary and stirred it in. The original recipe called for Greek yogurt instead of mayo but of course my store didn't have it so I went with all mayo. It also suggested adding some apple cider vinegar, which probably would be yummy too. 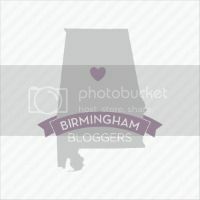 This pic is from the link above, and doesn't it make you want to get your hands on some of this salad asap? ?